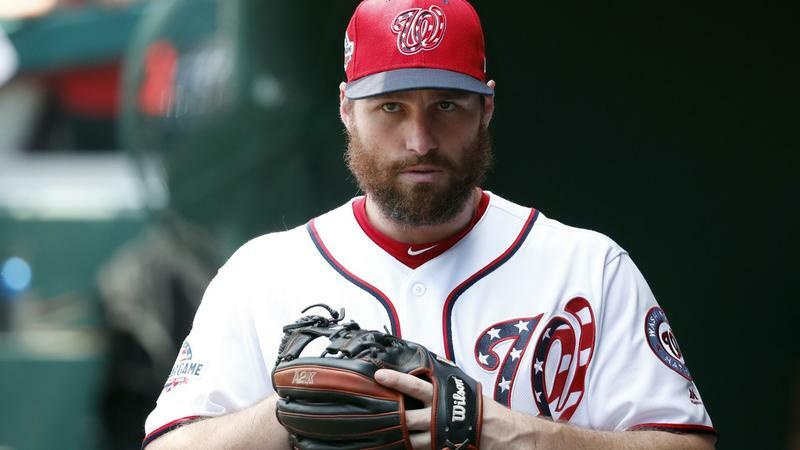 In an effort to fortify their offense, the Cubs acquired nemesis second baseman Daniel Murphy of the Nationals on Tuesday. Murphy, slowed by injuries this season, batted .529 with four home runs and six RBIs against the Cubs in the 2015 National League Championship Series with the Mets and is a lifetime .325 hitter with nine home runs and 22 RBIs against the Cubs. The left-handed hitting Murphy, 33, would help an offense that has scored three runs or fewer in seven of their last 10 games, including four in their past four games. It also could mean that Javier Baez would play more at shortstop and third base with Addison Russell struggling at the plate and coping with a swollen knuckle on his left middle finger and slugger Kris Bryant recovering from left shoulder inflammation. With the Cubs scheduled to see very few left-handed starting pitchers the rest of the way, the addition of Murphy allows them to stack the lineup with left-handed hitters. Murphy is batting .300 with six home runs and 29 RBIs this season for an injury-plagued Nationals team. Murphy missed more than two months after undergoing right knee surgery but is hitting .340 since the All-Star break. Kris Bryant said he would be eager to move to the outfield to accommodate Murphy, since the Cubs have several infielders who can play third as well as second. Bryant was scheduled to take live batting practice as he recovers from left shoulder inflammation. Murphy is a lifetime .413 hitter at Wrigley Field. He is in the final year of a three-year, $37.5 million contract and will be owed about $3.84 million for the rest of the season. The Cubs acquired Murphy in exchange for Class-A Myrtle Beach second baseman Andruw Monasterio and a player to be named later or cash. Monasterio, 21, batted .263 with three home runs, 31 RBI and 52 walks in 109 games for Myrtle Beach.